What if everyone gets an A? What if everyone gets an A? Is it possible? What if every member of Congress and the new president and vice president were given an A? That means they start with a clean slate and have already earned the highest grade the public gives them. 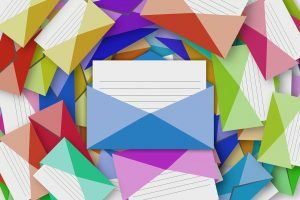 The caveat: Within the first two weeks of taking office, each of them must write a public letter to the American people, published in the New York Times or the Washington Post, explaining what they did to deserve this grade. The letter must be dated a year from the date they took office and start with the words, “Dear American people, I got my A because….” It must be written in great detail. Each person must tell the story of what happened to them over the course of that year and what they did to achieve this grade. In writing these letters, they must place themselves in the future and look back, reporting on all their accomplishments on behalf of the American people. They must include the milestones they attained during that year as if the accomplishments had already happened. Everything must be written in the past tense. The words “I hope”, “I intend”, “I plan” or “I will” must not appear. They should instead use: “I led”, I implemented”, “I influenced”, “I organized”, “I coordinated”, “I created’, etc. 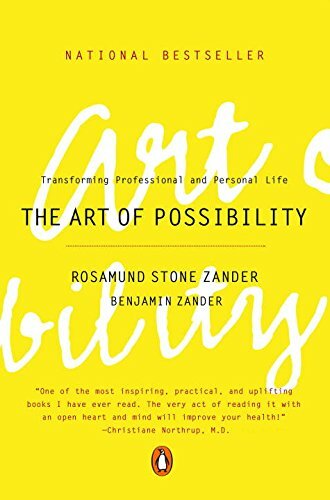 This is an exercise Boston Philharmonic Symphony Conductor Benjamin Zander describes in the book he co-authored with his wife, Rosamond Stone Zander, called The Art of Possibility. At the start of each semester of music instruction, he tells his students to write him a letter as described above, dated for a year hence. The results he describes are amazing and inspiring. It appears that once we place ourselves in the future and write out what we have accomplished as though it already happened, we actually take the steps in the present to make that happen. Our brains have already been wired to make it so. If everyone gets an A at the start, we subconsciously do the work to make it a reality. This is similar to an exercise we do with our clients when facilitating a strategic plan. We start by having them put themselves 1-to-3 years in the future and imagine what has already transpired in their business. What accomplishments they’ve made, how the organization has grown and changed, and what others are saying about their success. This becomes the vision for the future they want to create. Next, we have them step into that same future time frame and consider the external changes that might have occurred by then. They look at how the world will have changed around them which includes changes in population, the competition, the ecological environment, political and regulatory changes, technology and innovation, their industry, and their customers. Again, they look at these as though they have already occurred at the end of that 1-to-3-year period, identifying future opportunities and threats that present themselves. Then they work backwards to set milestones to achieve and identify specific actions to take that will produce those future results. These are powerful exercises which get our clients rooted in the future. They help them see possibilities they might not otherwise see if they began with a SWOT analysis and started solving today’s issues. 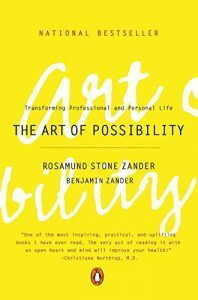 Much like Zander’s students in The Art of Possibility, our clients start their planning by tricking their brains into assuming the future has already happened. This makes it possible for them to identify the specific steps they need to take to ensure those future possibilities actually take place. It also gets the entire team on the same page, focused on the same goals. Granting an A can be a healing exercise – something this country needs after such a divisive election process. It creates a vision of partnership, teamwork and relatedness. If everyone gets an A, then everyone is equal in all ways. It means we’ve all done our best; we’ve all behaved as the best persons we can be. According to Zander, the act of giving an A creates a sense of partnership. Of course, every government leader must understand and embrace this process which is a huge culture change to their jobs. But it could happen! So what if everyone gets an A? What if we gave every elected official an A the day they took office? Looking for inspiration recently, I turned to one of my favorite books, The Art of Possibility. Opening it up I came to a story about thinking differently. It was written by a health system’s Vice President who attended a presentation one of the authors, Boston Philharmonic Symphony Conductor Benjamin Zander, made to his company. The audience was told to reflect on someone no longer in their lives while Zander played Chopin. The Vice President thought about his father’s inability to tell him he loved him all the time he was growing up. This caused him to distance himself from his father as an adult. But during reflection he remembered a special moment when his father showed him his love, even though he couldn’t say it. Suddenly, his world changed. This made me recall a time early in my banking career when I put in a bid to my boss and his boss to create a brand new department with me as department manager. I had seen the need for a department that provided “creative services” to the executives since I was being asked to do those things already. This involved writing out flip chart presentations (yes, this was before PCs and PowerPoint), editing speeches, creating posters for executive presentations, and planning and producing marketing and operations conferences. A few days earlier I had called my mother for advice on how to structure my proposal and presentation. She was my business adviser and mentor early in my career having had lots of experience working her way up the corporate ladder. At the time, she and several other high level executive women had formed their own consulting firm to help women gain the management skills to excel in a corporate environment run predominantly by men. Much of what they were teaching these women had to do with thinking differently about themselves, their work, and their career goals. Similar to the epiphany the VP had in the book, I too, gained a new perspective. 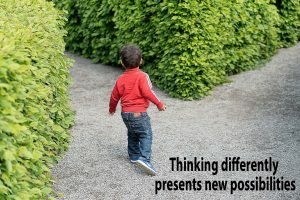 I realized I needed to change my thinking. I did get the new opportunity and the promotion even though it didn’t look exactly as I had proposed and I didn’t get the title I wanted. But I was given a budget to manage and permission to hire two people. It was my first job directly managing my own staff, instead of the shared management responsibility of the department secretary whom I supervised with several other colleagues. The department head had his own private secretary. And now I was the only other person in the department with my own staff. Boy did that irk some of my co-workers! 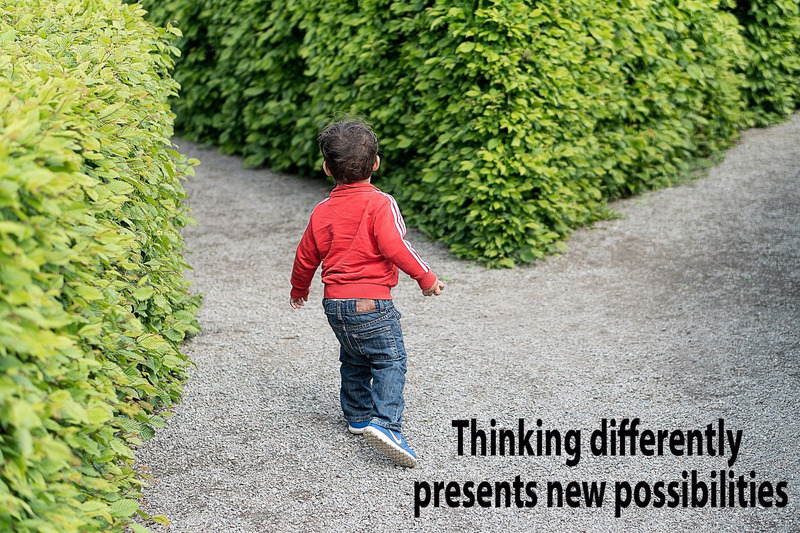 The message I finally internalized was to recognize the win, and start thinking differently. New possibilities emerge as a result. You might be surprised at what you discover!